You are now the proud owners of your own boarding cattery. You will need to find reliable suppliers of cattery equipment. The initial outlay for your cattery can amount to many hundreds of pounds, and whereas you do not want to buy the cheapest you also need to shop around and get the best deals that you can. Any pet related magazine will carry advertisements for boarding cattery suppliers. In the first instance get as many brochures as you can. This will enable you to compare prices and the various products on offer. You might find that you can buy locally for the same price. It is always worth building a good relationship with your local pet shops. Quite often they will have special promotional offers which they will pass on to you if you are loyal to them. If you are using a supplier on a once off basis, for example, you need heated pads, say 25. You should be able to negotiate a price which is lower than the advertised one. Don't be afraid to ask for discounts. There is always a limit on how much storage space you have. You will want most of your space for cat pens/units, so you are restricted to how much food and litter you can purchase at one time. Surprisingly, you can often purchase cat food from a supermarket as cheaply as anywhere else. There are usually special offers to be found and when you see them take full advantage and stock your cupboards. This does not compromise the care you give to your boarders as it is always wise to feed cats whatever they have at home. Often you will find that owners bring the cats food with them. You could find yourself popping out to a supermarket to get that special brand of food that the cat is used to eating at home. 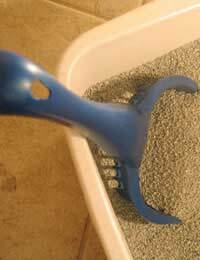 The heaviest item you are likely to need when stocking your cattery is litter. Unfortunately unless you have large storage capacity and a wide driveway the opportunity to buy in bulk is limited. The main Suppliers of cattery equipment have large vehicles and will not deliver unless you have enough room for their lorries to deliver safely. They will not consider delivering to you unless you are able to take several pallet loads of litter at a time. Once again you should turn to your friendly pet shop. Usually they will be happy to deliver a small quantity of goods and give you a discount on the retail price. Of course if you have a large cattery and are fortunate enough to have the space you can save a considerable amount of money by bulk buying. You will be able to find suppliers in the specialist cat or dog magazines. There is no one place to buy all the supplies that you may need, but try to find efficient friendly suppliers and build up a good relationship with them.